Home Ancient History Are The Pyramids Much Older Than We Think? Two German Archaeologists have made recent headlines when they stole a piece of King Khufu’s cartouche from the Great Pyramid, then smuggled it back to Germany for study. In doing so, they have come forward claiming that the pyramids are MUCH older than originally claimed, and that it was not built for King Kufu as a burial chamber, rather it was built as a centre of power. The Ancient Egyptian section of the Ministry of State of Antiquities (MSA) however refutes these claims, labelling the German archaologists as amateurs. Mohamed Abdel Maqsoud, head of the ancient Egyptian department, states that a multitude of scientific research over the last 2 centuries shows that pyramid indeed does belong to King Khufu, the second king of the fourth dynasty. There are, however certain pieces of evidence that may be in favor of the pyramids being older, and these German archaeologists are not the first to question their age and what we have been taught about them. Some researchers have noted that most Egyptian burial structures are plentiful with texts and inscriptions to assist the passing of the individual to the underworld. The Giza pyramids, including King Khufu’s, were absent of such decorations. There has been dispute saying that if the pyramid was indeed built as Khufu’s tomb, his name would appear all throughout the structure. Instead, there is one reference to Khufu, painted in red in a small room. Another interesting fact about the structure is the shafts inside the Great Pyramid and the positioning of the pyramids are correspond with the constellation of Orion. 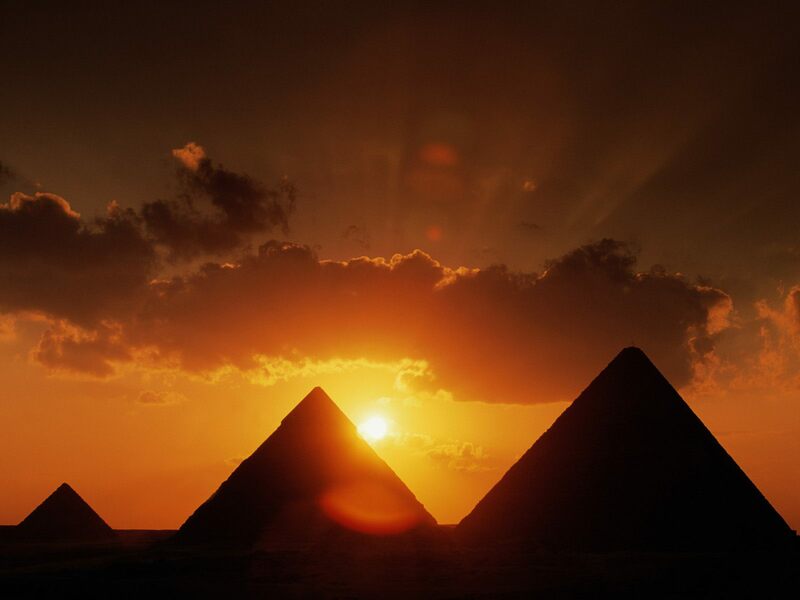 The perfect alignment however, between the pyramids and Orion, would have only occurred in 10,500 BC. The Sphinx, too, aligns to the the constellation of Leo in the same year, 10,500 BC. Does this make the argument more interesting? Definitely. Check out the article here on Ahram Online. Next articleHas Comet ISON Survived Its Trip Around The Sun?